If you are or want to become a YouTuber you will need a good video camera. Which camcorder you pick can have a big impact on the quality of your YouTube videos. To help you find the right camcorder for your budget and needs we have created this guide. The camcorders are divided in three categories: beginner, intermediate and professional. The camcorders in the beginners category are very affordable, provide good image quality but are limited in options. The intermediate camcorders offer better quality and more control but are slightly more expensive. The ‘professional’ camcorders offer 4K Ultra HD video and lots of features but also require a higher budget. 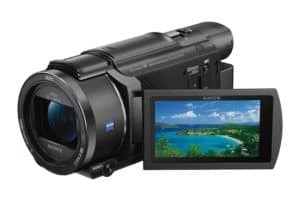 Our first camcorder recommendation is the Sony HD RCX405. This Sony camcorder records in Full HD 1080p at up to 60 frames per second. The 26.8mm wide-angle ZEISS lens has 30x optical zoom and 60x clear image zoom and maintains a good image quality while it’s zoomed in. The image sensor of this camcorder is back illuminated which results in very good low-light performance. The screen of the HDRCX405 is a 2.7-inch LCD display with 230K dots and displays sharp and bright images. To minimize camera shake the camcorder uses SteadyShot image stabilization and 3-way Shake-Cancelling which results in smoother video capture. While it’s missing some features like external microphone connectivity this is a great entry-level camcorder for youtube beginners on a tighter budget. 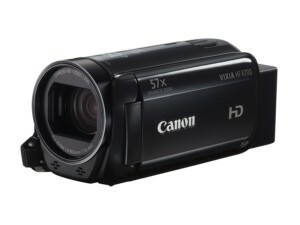 Our second camcorder recommendation for beginners is the Canon HF R700. This lightweight camcorder records in Full HD 1080p at up to 60 frames per second. The video footage is stored on a removable SD memory card or high-capacity SDXC card for faster data transfer and more storage capacity. Canon uses a sophisticated optical image stabilization system which corrects camera shake to ensure smooth video recording. The stabilization system works on the horizontal, vertical and roll axis to ensure smooth video, even if you are walking while recording. The Intelligent IS feature automatically chooses the best stabilization mode for the current shooting condition so you don’t have to worry about that. The camcorder has a 3-inch LCD touch screen. The display is bright and clearly visible, even in direct sunlight. The touch screen can be used for browsing menus and settings but also for choosing a focal point or tracking a moving object. Even with the slightly bigger screen the battery life is very good and it also accurately indicates remaining battery life so you know exactly how much battery you have left. 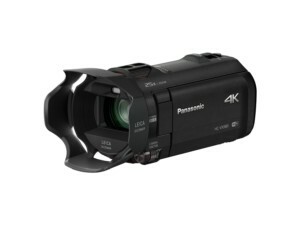 Our first camcorder recommendation for intermediate YouTubers is the Panasonic HC-V770. The HC-V770 records in Full HD 1080p at 60 frames per second but is also able to do slow motion video at 120 frames per second in Full HD. It also features a 20x optical zoom lens giving you a wide-angle when zoomed out, and a good amount of telephoto when you’re zoomed in. To minimize camera shake the camcorder features Panasonic’s Hybrid optical image stabilization. This stabilization system combines optical and digital image stabilization to provide 5-axis correction. The stabilization settings are adjustable so you can select the best stabilization method for your current recording conditions. This camcorder is the first in this guide to feature HDR (High Dynamic Range). This combines two images taken with different exposure times to suppress blow highlights and blocked shadows. This results in crystal clear video because you can maintain gradation in difficult shooting situations. You can connect the camcorder wirelessly to your smartphone or computer to transfer footage without any cables. 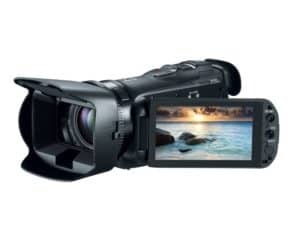 Our second intermediate camcorder recommendation is the Canon VIXIA G20. The G20 records 1920 x 1080 Full HD video at 60i, in native 24 and 30 frames per second. The Canon 10x HD video lens has an 8-blade iris for more professional looking video with a blurred background effect. The camcorder features a Canon HD CMOS Pro image sensor with great low-light performance and extended dynamic range. The Canon G20 has a large 3.5-inch LCD touchscreen with 922k dots for fast and easy menu navigation and adjusting the focus on any subject. Internally this camcorder has 32GB of storage which you can expand up to 256GB with the dual card SD memory card slots. Canon’s Dynamic SuperRange optical image stabilization and Intelligent IS work really well for making sure your videos come out perfectly. The optical image stabilization corrects camera shake instantly, even when you are shooting handheld video fully zoomed in. The microphone records great quality audio and provides lots of options to adjust to different shooting conditions. The microphone position can be adjusted, as well as balance and frequency response. If you want even better audio quality the G20 also offers external microphone connectivity. 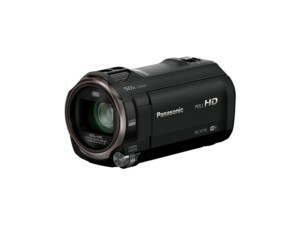 Our first professional camcorder recommendation is the Panasonic HC-VX981K. 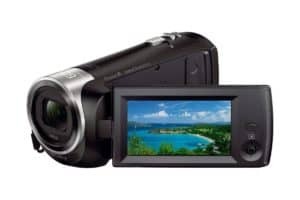 This camcorder is very similar to the Panasonic V770 featured earlier in this guide but with much better specifications. That’s why the VX981K is able to shoot in ultra sharp 4K UHD at 24 or 30 frames per second or Full HD 1080p at 60 frames per second. To improve the image quality even further the VX981K also has HDR mode to reclaim highlights and shadows. Panasonic have used a Leica Dicomar lens for this camcorder that offers 20x optical zoom and Panasonic’s hybrid optical image stabilization. The Hybrid optical image stabilization works by combining the digital and optical image stabilization to minimize camera shake on all 5-axis. This camcorder offers high quality images, a premium feel and is very easy to use. Our second professional camcorder recommendation is the Sony FDR-AX53. The AX53 shoots in 4K Ultra HD at 24 or 30 frames per second and Full HD 1080p at 60 frames per second. It can also record slow motion footage at up to 120 frames per second. This camcorder shoot incredibly stable video with the Balanced Optical SteadyShot image stabilization that works on all 5 axis. The autofocus works very fast and precise and never leaves you with unsharp footage. The AX53 features a 3-inch LCD touch screen with WhiteMagic technology. This uses white pixels in addition to RGB pixels to boos the screen’s brightness so you can easily view the screen, even in direct sunlight. The camcorder allows for much room for creativity by providing a lot of manual controls and features like time-lapse mode. Sound is crystal clear by gathering sound from 5 directions while minimizing wind noise and boosting speech. After you are done recording you can easily transfer your footage by using Wi-Fi or NFC (Near Field Communication) technology. Image Quality: An important aspect on which we judge a camcorder is the image quality. The image should be sharp, detailed and display accurate colors. Image resolution: The image resolution should be at least Full HD 1080p. Almost all smartphone cameras already have this image resolution and if your videos are below that resolution your competition has a big advantage. We also included 4K Ultra HD cameras since that resolution is what we are moving towards. Frames per Second: Most videos are recorder in 30 frames per second but some YouTubers want to be able to record in 24 or 60 frames per second. YouTube have added support for 60fps in 2015 so you are able to upload videos in 30 or 60 frames per second. Autofocus: Nothing is more annoying than having to wait multiple seconds before your camcorder focusses while it records blurry footage. To prevent this from happening we picked camcorders with fast and accurate autofocus. Optical Image stabilization: You probably don’t set up your camcorder on a tripod every time you record a video. To minimize camera shake while you are recording on-the-go it’s important that your camcorder has good optical image stabilization. Display: The screen of a camcorder is used a lot of previewing shots or reviewing footage. To get the most accurate image we have also considered the resolution and image quality of the camcorder’s display. Battery life: Not being able to record everything you want because your battery is almost dead is extremely annoying. A camcorder should never get in the way of recording the video you want so battery life played an important role in our recommendations. Sound: It’s easy to forget that sound makes up 50% of your videos. 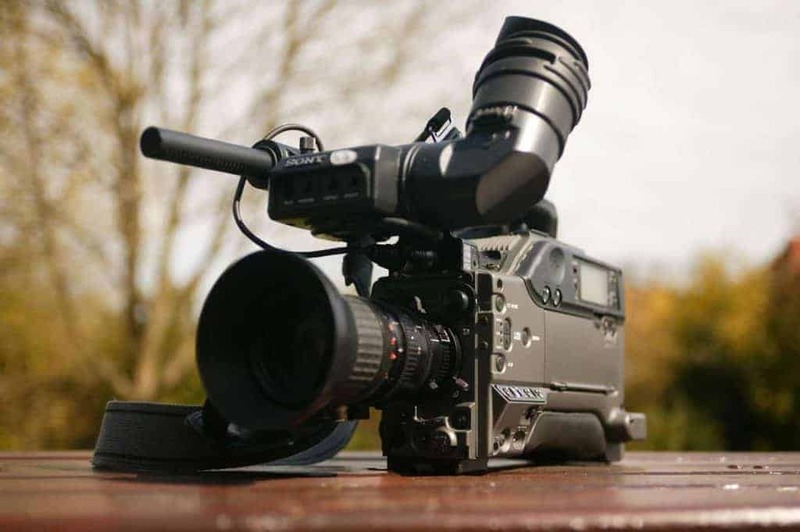 We made sure that every camcorder has good sound quality and the higher-end camcorders also have external microphone connectivity to increase audio quality even further. That concludes our buyers guide! Hopefully you’ve found the right camcorder to start or continue your YouTube career! If you are looking at camcorders because of the flip screen you can also look at our Cameras With a Flip Screen guide. This guide features all non-camcorder cameras with a flip screen.